The Overwatch Competitive Hero Tier List for July 2018 is ready. All the heroes are split in groups based on their popularity in pro games. 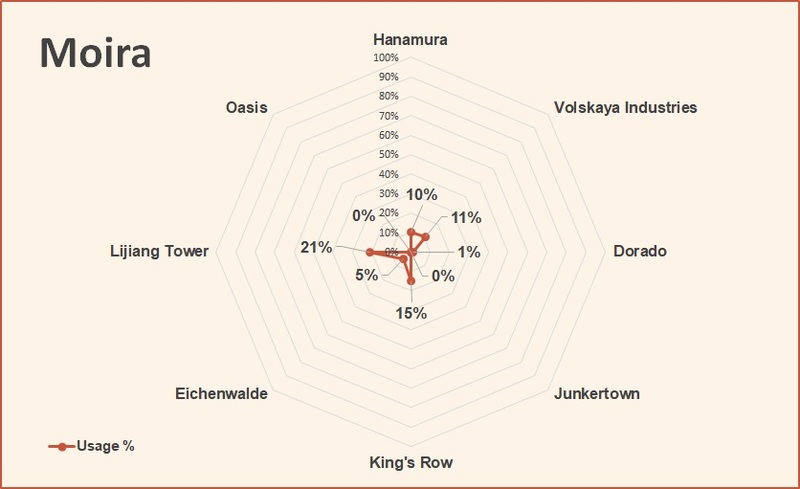 All heroes are arranged in six tiers based on their time played in pro games. 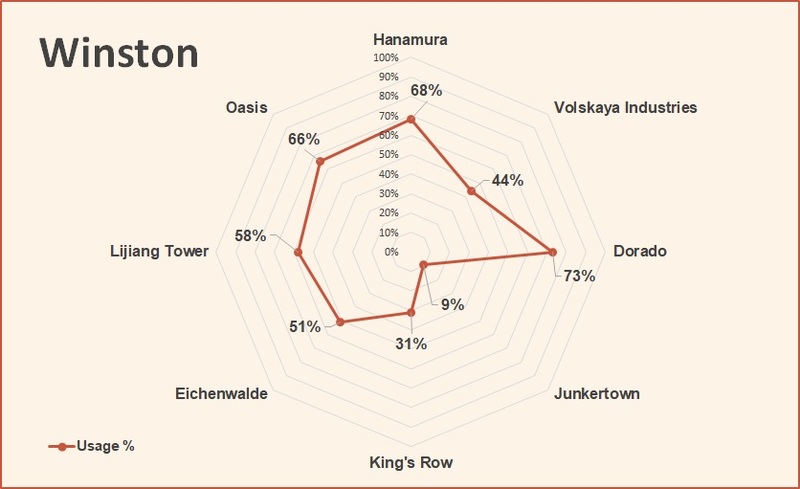 The usage rate in each map is helpful to understand in which battlefield a hero shines the most. The win rate has no effect on the tiers. The tiers depend only on the hero usage time, and aren't affected either by the win rate of a hero or by their performance in pub matches. 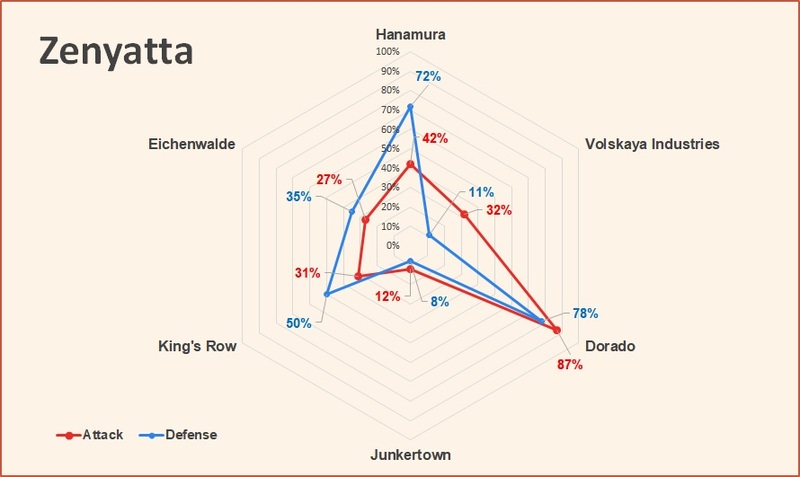 Only stats from the Overwatch League. Overwatch Contenders and any other tournament are not considered. All the OW Tier Lists. 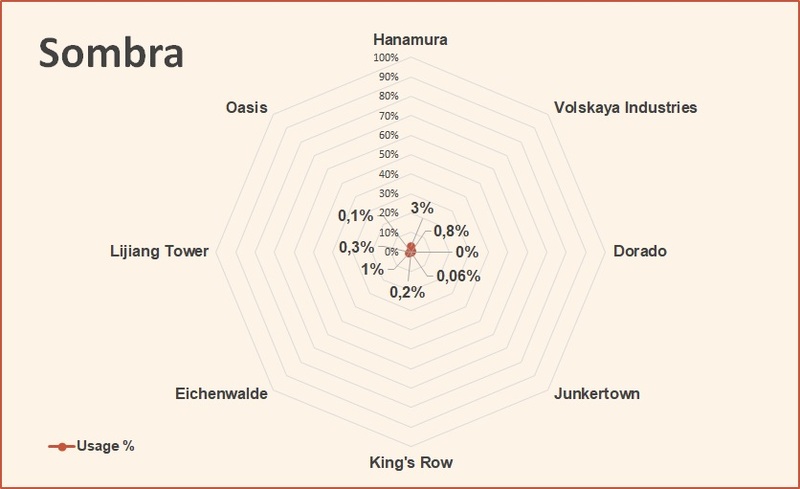 Assault: Hanamura - Volskaya Industries. 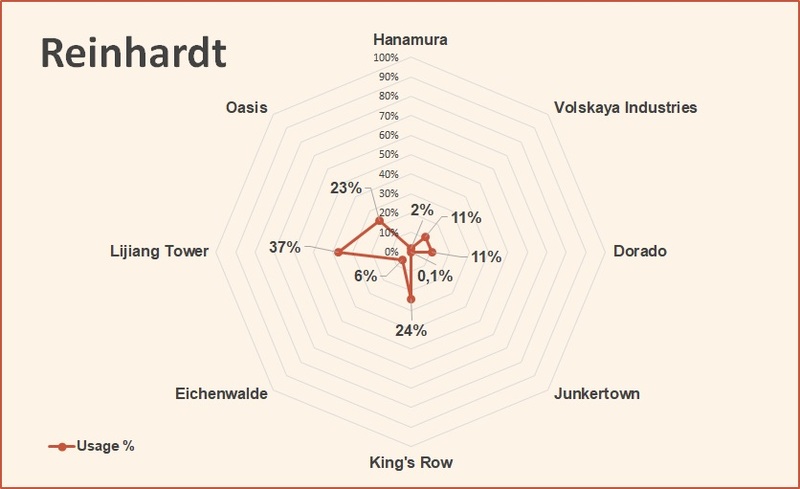 Hybrid: King's Row - Eichenwalde. Control: Lijiang Tower - Oasis. Click an image to zoom it. Check out all the articles in my series about the best sniping spots for Widowmaker. Work in progress - more maps in the next weeks. The tiers are viewed as clusters of data, and each hero is placed in the one they are closer the most. Tier S: Mercy 90% - D.Va 89%. Tier 2: Hanzo 50% - Zenyatta 50% - Winston 48%. 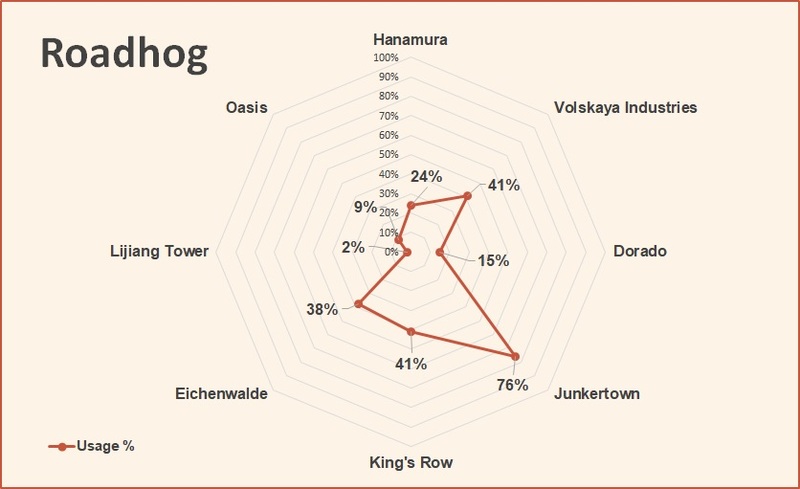 Tier 3: Orisa 37% - Roadhog 33% - Tracer 24%. Tier 4: Pharah 19% - Brigitte 16% - Reinhardt 13% - Zarya 12% - Lucio 10% - Genji 9% - Junkrat 8% - Moira 7%. Tier 5: Ana 2% - Bastion 2% - McCree 2% - Doomfist 0.9% - Soldier: 76 0.7% - Sombra 0.6% - Reaper 0.3% - Mei 0.2% - Symmetra 0% - Torbjorn 0%. Past Tier List: June 2018. 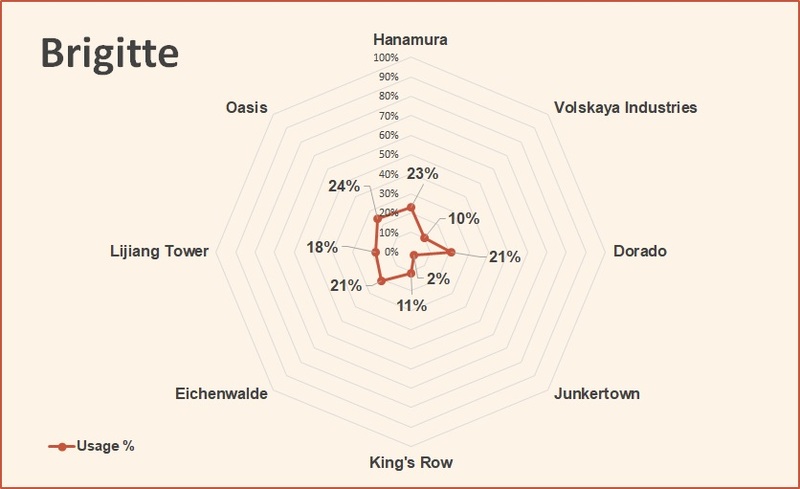 The usage rate of all heroes of the same class on each map. Only the top six heroes in each class are displayed. The usage rate of all heroes (up to tier 3) in attack and defense on each map. The characters are ordered according to this month's tier list. The Overwatch Competitive Hero Tier List for March 2018 is ready. All the heroes are split in groups based on their popularity in pro games. The Overwatch Competitive Hero Tier List for May 2018 is ready. All the heroes are split in groups based on their popularity in pro games. The Overwatch Competitive Hero Tier List for June 2018 is ready. All the heroes are split in groups based on their popularity in pro games. 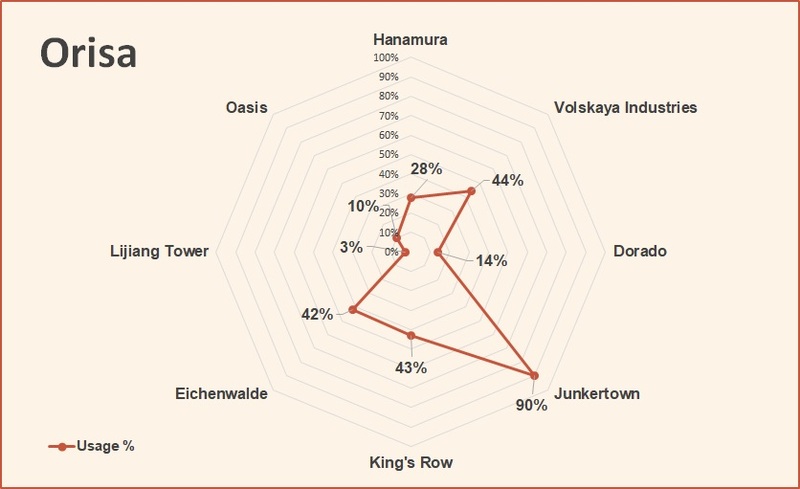 The hero usage data from the Overwatch World Cup 2018 qualifiers played in September: Los Angeles, Bangkok, and Paris. Find out the best picks at OWWC 2018!